Here at The Macclesfield Academy we’re successful in ensuring the transition to Year 6 to Year 7 is as seamless as possible. The following fabulous article, written by a current Year 7 student who wishes to remain anonymous, summarised their first few weeks at The Macclesfield Academy very well indeed. All our Year 7 students are settled, happy and enthusiastic both about their time at the Academy so far and with the array of transition activities we organised for them. “During the first week of our first year, I and other Y7s had the school trip of a lifetime to the Legoland Discovery Centre, Manchester. There, we had the delightful and surprising pleasure of sleeping overnight in the Legoland Centre. 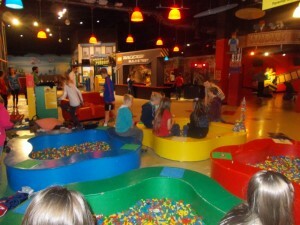 Before turning in to sleep we also got to run around and enjoy the entertaining and enjoyable world of Lego! That included a Ninjago ‘Dodge the Laser Challenge’ and, to our great amusement, even the teachers took part! There was a play area, where I personally had a fantastic time on the swing, jumping off into the pillars. There was a ‘Lego Friends Friendship House’ complete with a singing stage and microphone, a Duplo slide and farm and, finally, a forest ranger driving course. After all our fun, we got to watch two short 4D Lego movies in the luxury of the Legoland cinema! “Of course, all good behaviour must be rewarded. 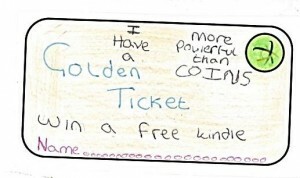 This term, at The Macclesfield Academy, we have started with our Golden Tickets. They are designed by our students and the winning designer this time was James Griffiths. Teac hers gave out Golden Tickets to students that had tried their best in lessons. Students then placed their Golden Tickets into a tall box and then there was a prize draw in Assembly. For this draw there was a special twist as teachers were asked to nominate their favourite Golden Ticket moment and these students’ names where announced and their tickets were put into a smaller draw. “Before we even went to Legoland, we also had an amazing time at PGL. We went to an outdoor centre at Boreatton Park in Shropshire during the summer holidays and I didn’t really like it at first as we got cold and wet, and had to sleep away from home. Nevertheless, Macclesfield Academy’s PGL trip was one of the best times of my life and was a good way to make friends and meet people before starting at the Academy in September. I got to sleep in the same room as my best friends, eat in the fantastic cafeteria which served wonderful meals, search and find adorable frogs, make new friends with people I had never met and shoot arrows into targets. I still go on about how good and breath-taking the giant swing was; we were whooshed back and forth with our friends. “If you believe that we only do things outside of school, then don’t worry! In fact we do plenty of things, including Enrichment instead of period 3 on Thursdays. Enrichment is a kind of fun, educational club. Don’t be worried about break time either, or before or after school as we have a tasty breakfast morning club, Chillax club and you can even go to music or the library at break/lunch. Believe me, it’s all fun”. This year has seen a record number of families coming to look around the Academy, attending open evenings and taster days. This year we offered an additional taster day which was attended by most partner primary schools. Students worked with life coach, Keith Wells, who led workshops on boosting memory and self-esteem. Students all worked in Lego Team Building Workshops to develop their communication and team work skills. Miss Jerome ran sessions on staying healthy and was really impressed with the contributions and efforts from the Year 6s. Students took away with them a poetry competition and the winner was Joe Martin from Parkroyal School. Our Deputy Head Miss Halsall went along to Parkroyal’s assembly and presented Joe with a Kindle Fire.